THE PURSUIT OF PARENTHOOD. 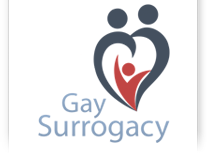 Our surrogacy specialists in our GaySurrogacy network will provide you with the best quality in vitro fertilization (IVF) treatment available and create an individualized treatment plan for you. How can IVF help lesbian women build a family? IVF is one of the most advanced and most successful fertility therapies available, and pregnancy rates from IVF are higher than with any other treatment. Lesbian couples use IVF to allow one partner donate the eggs and the other to carry the pregnancy. One woman undergoes ovarian stimulation followed by egg retrieval and the other woman has the resultant embryos transferred into her uterus after preparation with hormones. With IVF for lesbian family building, fertilization of your egg using donor sperm happens in the laboratory rather than in your body. Some lesbian couples choose reciprocal IVF in which, one intended mother offers her eggs for the process of fertilization. Once the egg is fertilized, it is then transferred into the partner’s uterus, and she will carry the baby to term. Reciprocal IVF can be emotionally and physically rewarding since both intended mothers get to enjoy dynamic roles on their family building journey. During egg growth stimulation, you will be provided with medication, educated on the treatment cycle timeline, and taught how to self-administer the hormone injections. This process will further stimulate greater egg production, which allows fertility specialists to maximize the number of eggs for a higher chance of achieving fertilization and pregnancy. Once you have an optimum number and size of follicles, your fertility doctor will plan for the egg retrieval. You will have a trigger injection of gonatrophins. The retrieval will occur 36 to 38 hours later. Egg retrieval is typically accomplished under transvaginal ultrasound guidance. The process is performed under local anesthesia and takes 20-30 minutes. Collected eggs are taken to the laboratory and placed in a culture medium in preparation of fertilization. Your pre-selected donated sperm and eggs are combined in a dish where fertilization occurs. The better quality pre-embryos will continue to divide to the five-day stage, and are referred to as blastocysts. Typically, an individual sperm is selected by a highly experienced embryologist, and, under very delicate microscopic control, the egg is injected with a precise single sperm. Three to five days after the IVF procedure is performed, you and your lesbian partner will return to the clinic for the embryo or blastocyst transfer. The embryos are transferred into the uterus of the intended mother who will be carrying the pregnancy through a very fine catheter passed through the cervix. If there are any unused embryos, you may choose embryo freezing to preserve the availability at a later time.